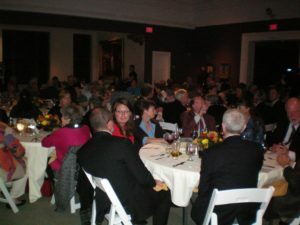 The Historic Preservation Trust of Berks County (HPTBC) will celebrate another year with our third annual gala dinner at the Reading Public Museum. Join us for a beautiful evening of good food and drink as we highlight the important work of the Trust and its many 2019 accomplishments. Pre-purchased tickets are required for this event. The cost is $60 for HPT members and $70 for non-members. The ticket includes catered dinner and two drinks.